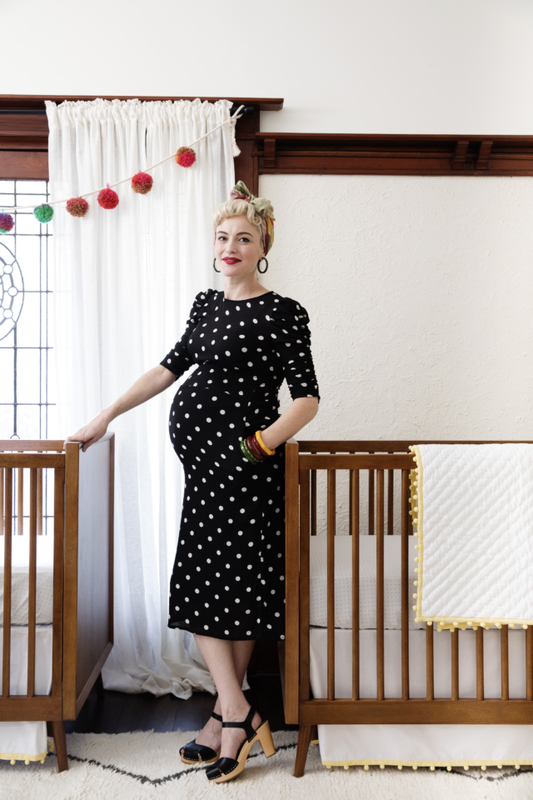 Famed for her mid-century style and the successful Sydney restaurants that she runs with her husband Elvis Abrahanowicz, restauranteur Sarah Doyle welcomed twin girls recently and enlisted west elm to bring her vintage nursery dreams to life. 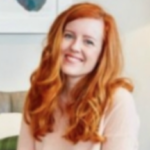 “Sarah and Elvis are behind Sydney restaurants Porteno and Bodega, among others. 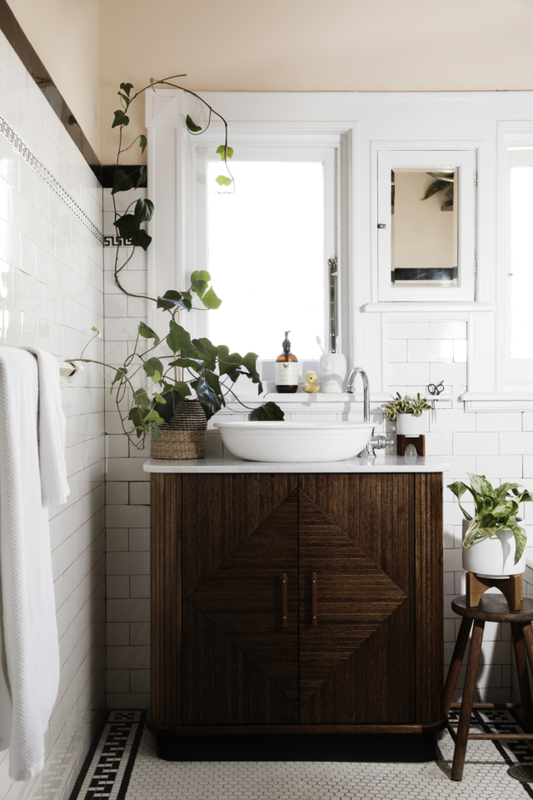 They are both lovers of mid-century style and their home is a wonderful, eclectic mix of 50’s and 60’s vintage pieces. 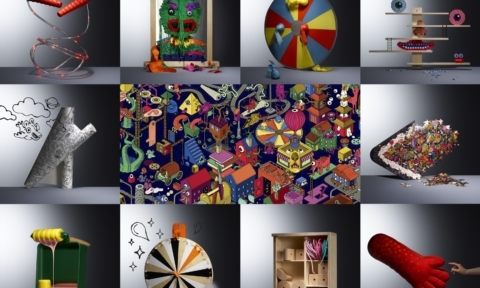 They also have a four-year-old daughter, Maybellene,” says the room’s designer Jodi Hall, designer and head of visual merchandising at west elm. 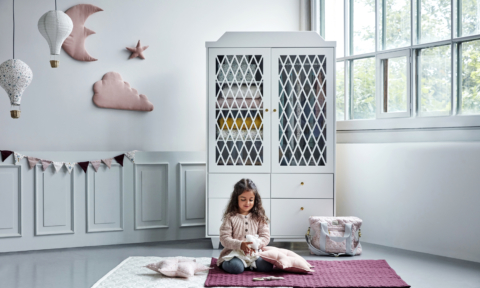 The recently launched west elm x Pottery Barn Kids collection proved the perfect fit for the room. 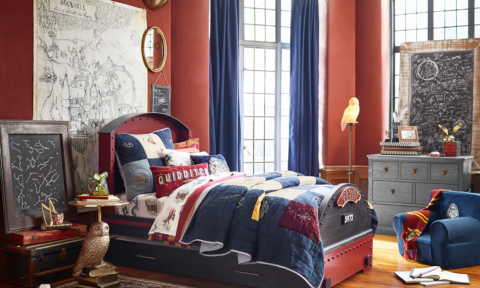 “The collaboration is between us and our sister brand Pottery Barn Kids. 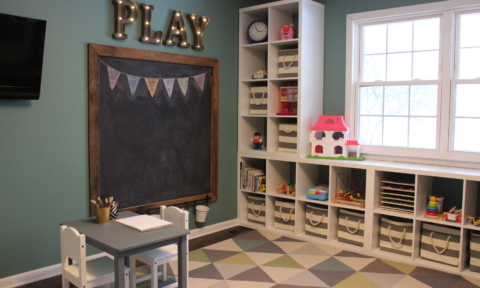 The idea behind the collab was to draw on our iconic mid-century style and Pottery Barn Kids’ industry expertise. 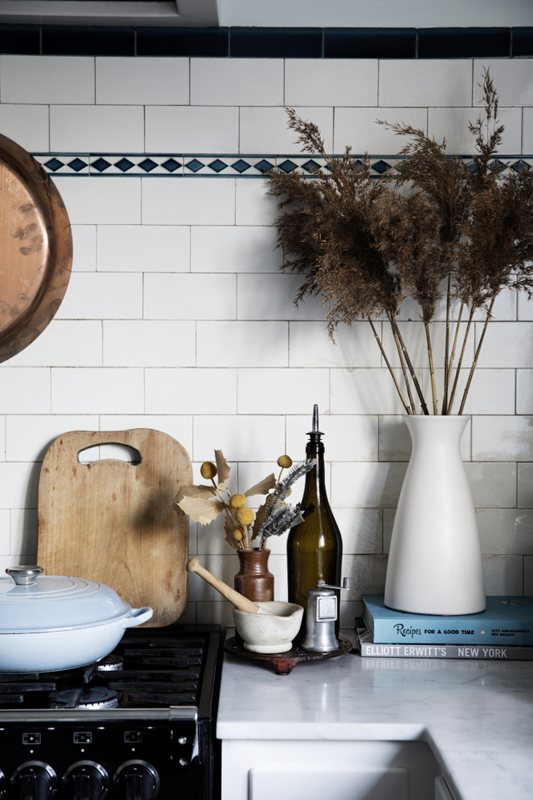 The result is a collection that perfectly suits Sarah and Elvis’ collective style,” says Jodi. 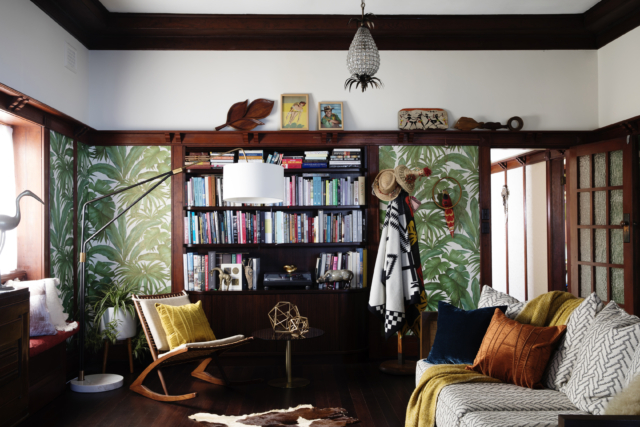 The family live in Sydney’s inner-west and the room was designed to complement the architecture of their home, celebrate the couple’s mid-century aesthetic and provide a tranquil haven for their new twins Claudette Jean and Esmeralda Alma. “As they were expecting twins, they also wanted the nursery to be have a calm feel, and everything in it to be hardworking and adaptable. 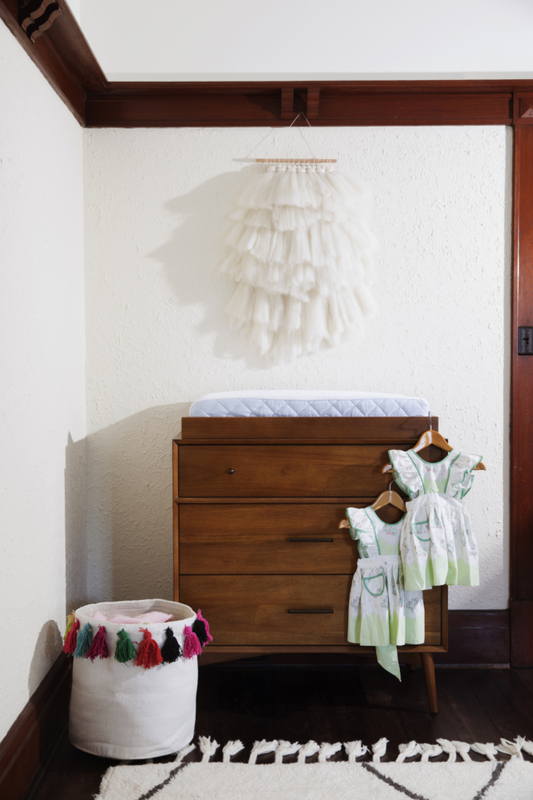 For instance, the Mid-Century Cots can be converted into toddler beds later and the Mid-Century Change Table is designed to be transformed into a regular dresser when the time comes,” says Jodi. Jen’s new nursery featuring other pieces from the west elm and Pottery Barn Kids capsule collection. 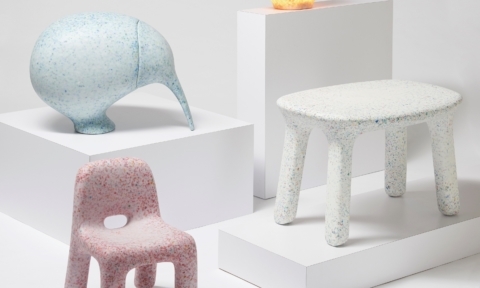 Stylish children’s furniture made from recycled toys! 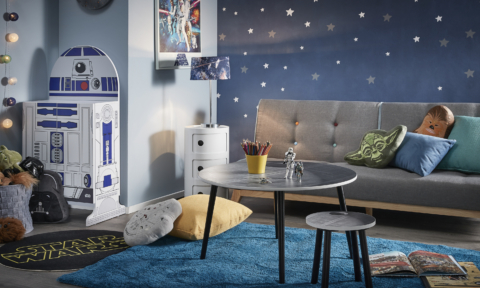 Kids’ room decor: The latest fabulous interior buys! 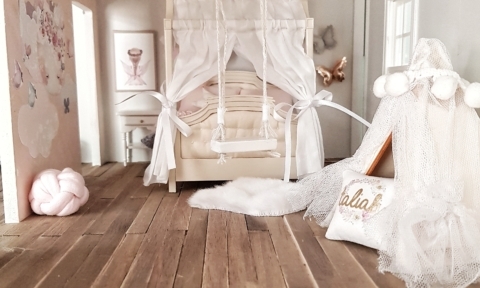 Organic bedding kids will love: meet Wriggly Toes! 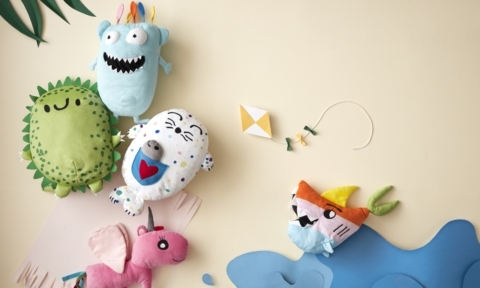 IKEA soft toys: we love the latest kids’ creations!